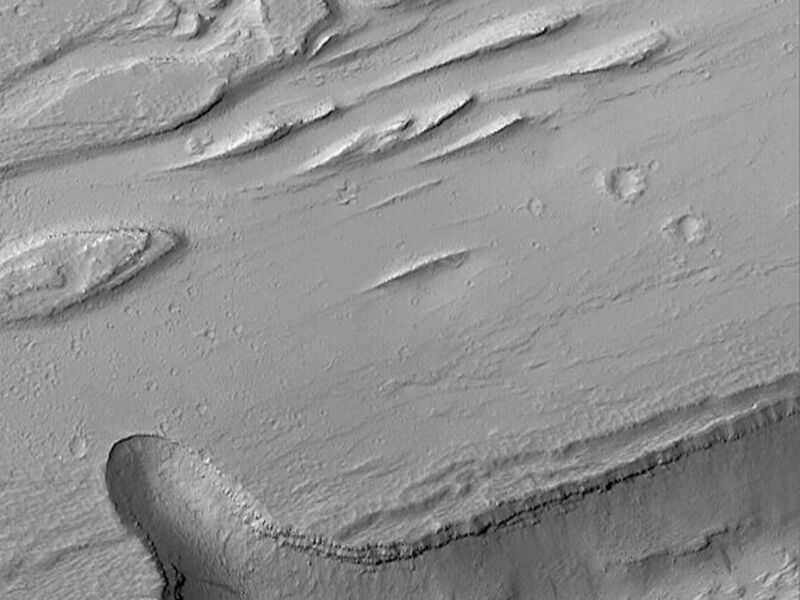 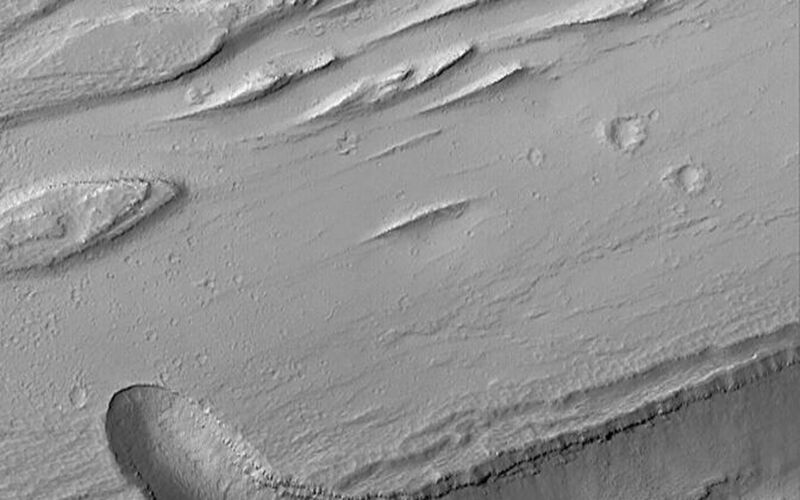 The Olympica Fossae are a complex array of deep troughs, channels and streamlined landforms in northern Tharsis. 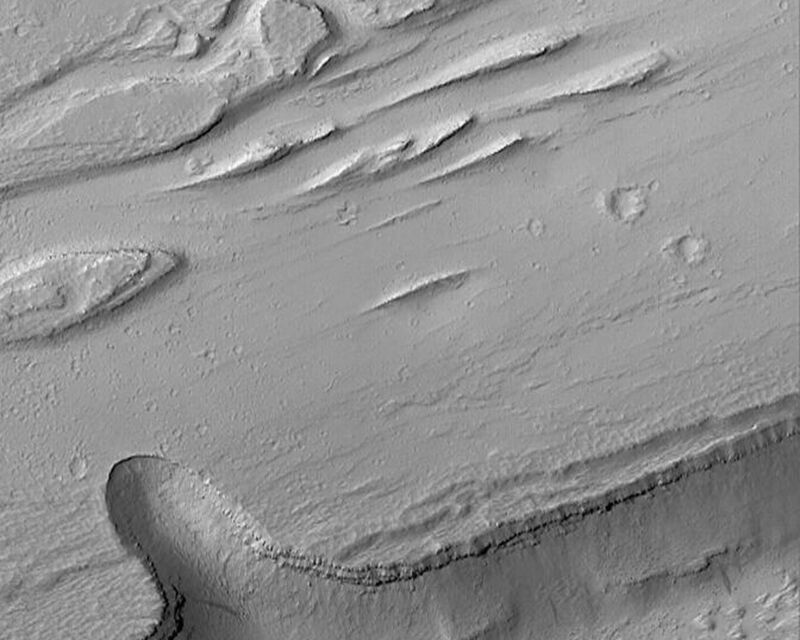 Water, mud, and lava are all thought to have played a role in the formation of these features. 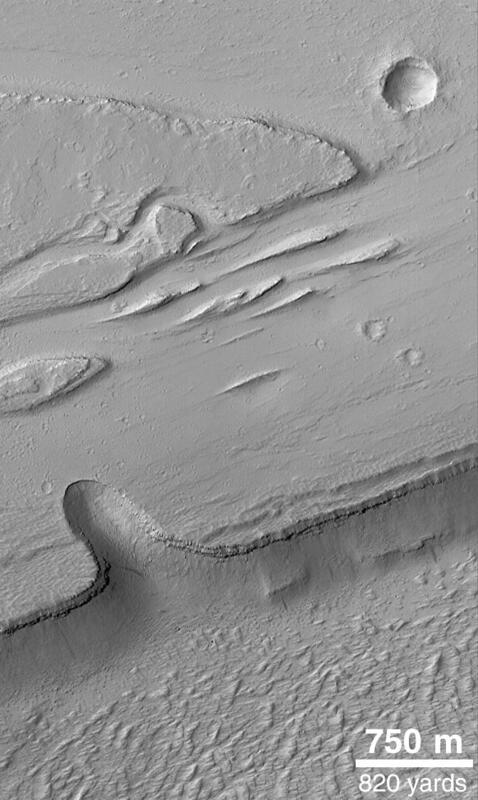 MOC image obtained on March 20, 1999.